Nivea owner Beiersdorf has been censured by the ad watchdog over airbrushed images, which "exaggerated" the effect which could be achieved using its products. 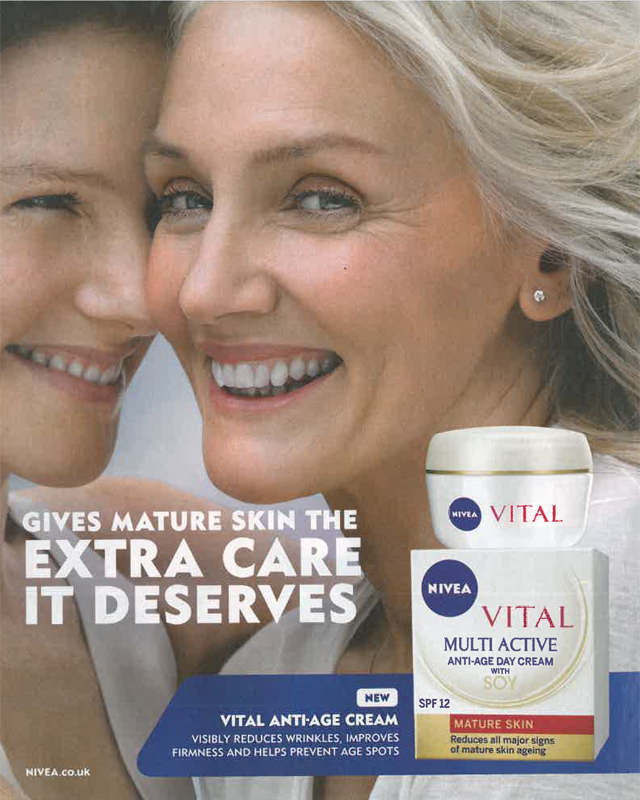 The print ad (right) for Nivea’s Vital moisturising cream showed two women alongside the line, "Vital anti-age cream – visibly reduced wrinkles, improves firmness and helps prevent age spots". Nivea admitted it had retouched the image, adding that it "generally did" in its ads, but claimed it had deliberately left a lot of wrinkles around the eyes of the older woman, "respecting the signs of age she exhibited". The brand said the primary purpose of the post-production work had been to clearly show how a woman aged over 60 could also be "desirable and a role model to which others could aspire". However, the Advertising Standards Authority cited a lack of scientific evidence demonstrating that moisturisers were able to achieve such results. It concluded that lines and wrinkles on the model’s face had been "dramatically reduced" and, as a result, misleadingly exaggerated the performance of the product. The ad is not allowed to appear again in its current form, Beiersdorf was warned over its use of post-production techniques. Retailer Debenhams recently looked to apply pressure of its rivals by banning the airbrushing of its lingerie models. It had already stopped using airbrushing in its swimwear ads, but said that it was extending the ban to all its marketing.